Did you suffer losses investing in a Payson Petroleum private placement offering at the recommendation of your financial advisor? If so, The White Law Group may be able to help you to recover your losses. It is possible to file a FINRA Arbitration claim against the brokerage firm that sold you the investment. Payson Petroleum is based in North Texas and “leads the way in providing oil investment opportunities to the independent investor,” according to its website. In June 2016, Payson and Payson Operating filed for Chapter 7 bankruptcy which later was converted to Chapter 11 bankruptcy. According to the bankruptcy trustee, after administrative expenses, neither company will have money left to pay its unsecured creditors. Then in November 2016, the SEC filed fraud charges against Payson Petroleum owners and brothers Matthew Griffin and William Griffin with offering interests in two Texas partnerships. The SEC alleges, between November 2013 – July 2014, the Griffins purportedly conducted a fraudulent two-phase offering of interests in two Texas partnerships, raising $23 million from approximately 150 investors for the purpose of developing three oil and gas wells through their company, Payson Petroluem. Additionally, the SEC alleges that the Griffins misled investors about Payson’s promised participation in the program and about Payson’s compensation as the program’s sponsor and operator. The trouble with oil & gas LPs, like those offered by Payson Petroleum, is that they involve a high degree of risk and are typically sold as unregistered securities which lack the same regulatory oversight as more traditional investment products like stocks and bonds. An additional risk associated with Payson Petroleum offerings is also the general risk that comes with the energy market – a market that has seen enormous losses over the last few years. 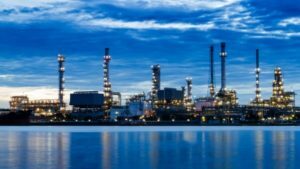 If you have suffered investment losses in a Payson Petroleum private placement investment, please contact The White Law Group at 1-888-637-5510 for a free consultation. This entry was posted in Securities Litigation and tagged class action, Payson Developmental Drilling Fund 2014 II LP, Payson Drilling Fund 2015 I, Payson Drilling Fund 2015 II LP, Payson Group LP, Payson North Texas Multi Well I LP, Payson Petroleum 3 Well LP dividends, Payson Petroleum 3 Well LP information, Payson Petroleum 3 Well LP interest payment, Payson Petroleum 3 Well LP investigation, Payson Petroleum 3 Well LP lawsuit, Payson Petroleum 3 Well LP litigation, Payson Petroleum 3 Well LP losses, Payson Petroleum 3 Well LP news, Payson Petroleum 3 Well LP performance, Payson Petroleum 3 Well LP recovery options, Payson Petroleum 3 Well LP redemption program, Payson Petroleum 3 Well LP secondary market, Payson Petroleum bankruptcy, Payson Petroleum buyback, Payson Petroleum distributions, Payson Petroleum Jenny #1 LP, Payson Petroleum lawyer, Payson Petroleum attorney by Harrison. Bookmark the permalink.